What is the difference between a work intake process and a Stage-Gate process? This is important to distinguish, especially for newer PMO’s that are setting up portfolio management processes. The work intake process refers to the steps of developing a project proposal and bringing it to the governance board (or PMO) for a go/no-go decision. This process works in conjunction with Stage-Gate, but can also be a standalone process. When PMO’s are first established, an intake process needs to be defined so that the PMO can manage incoming project requests. Once the portfolio governance team is established and familiar with the intake process, a full Stage-Gate process should be developed. The work in-take process is important so that all project proposals are created in a consistent manner with common tools and processes. Quality erosion—the quality of the proposals may erode and further delay the process since participants may not be aware of the information needed for project reviews. In order to have a successful work in-take process, all of the roles and responsibilities of each participant in the process needs to be documented and communicated. Some questions that need to be answered include: who will write the proposal (project manager, business analyst, executive sponsor)? What information is needed? What templates need to be filled out? What format must the information be presented? Are there any IT systems that need to be utilized (e.g. SharePoint, portal, portfolio management system)? Are there any time constraints for submitting proposals? Is a presentation needed? Who will make the presentation? Another important reason to establish a work in-take process is to help control the work in progress (WIP) within the organization. At one Fortune 500 company I worked with there was no “single entry” to the organization. Rather, requests came in through system managers, process engineers, subject matter experts, and other employees. It was nearly impossible to track all of the work being done because there was no “single source of truth”. A lot of shadow work was being done in the organization and it was very difficult to stop it because there was no established or enforced work in-take process. This shadow work eroded portfolio value, took valuable resources away from key projects, and was ‘death by 1000 cuts”. Stage-Gates are a governance structure to evaluate, authorize, and monitor projects as they pass through the project lifecycle. Each gate represents a proceed/modify/hold/stop work decision on the part of the portfolio governance team. 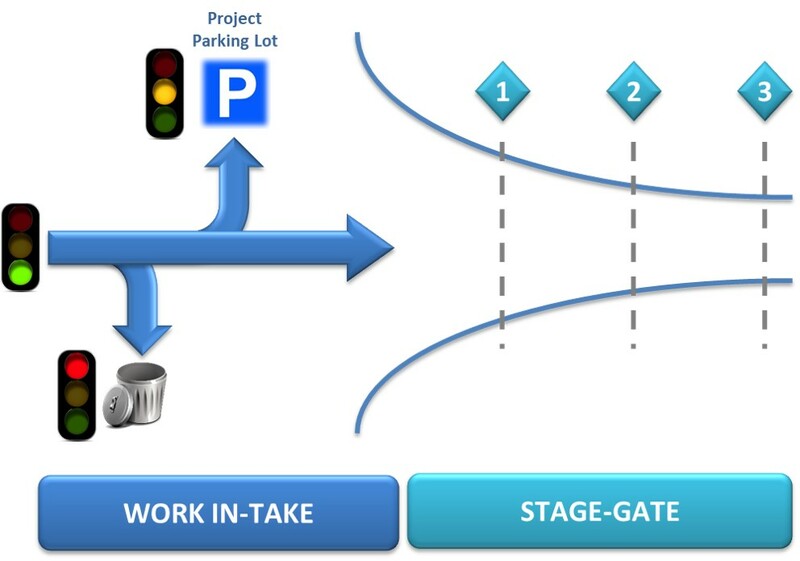 Although the Stage-Gate process parallels the project life cycle, the two are not exactly the same. For more information on the project lifecycle please see the Project Management Body of Knowledge Guide 6th Edition (PMBOK) by the Project Management Institute (PMI). Stage-Gates are a critical component of project selection. A winning portfolio must contain winning projects, therefore the portfolio governance team must be able to discriminate between good projects and great projects. The decision gate process enables the project governance board to review these projects based on predetermined strategic criteria at each gate review of the Stage-Gate process. At each of those gates, important project information is provided to the project governance board to make a go/no-go decision related to the project. Without this mechanism, unnecessary or poorly planned projects can enter the portfolio and bog down the work load of the organization, hampering the benefits realized from truly important and strategic projects. New PMO’s should start by establishing a work intake process to ensure there is one clear path for project requests to reach the PMO. Later, as the organization adopts the work intake process, a full Stage-Gate process can be added on to increase the quality of project proposals and help ensure the portfolio contains winning projects. Managing project dependencies are an important part of portfolio planning as well as tactically managing project execution. 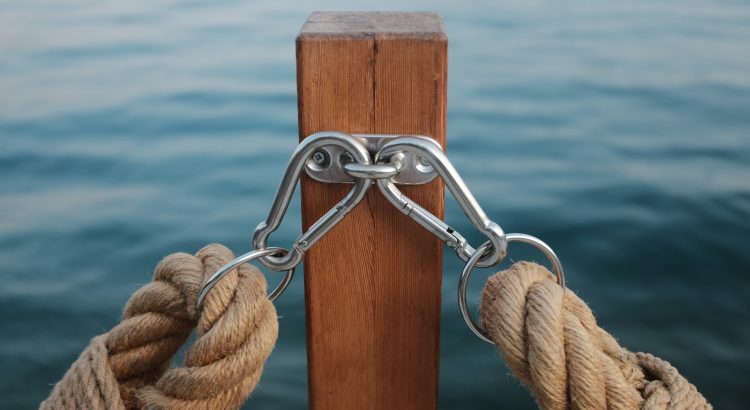 Unknown dependencies represent a major portfolio risk and in complex environments, inadequate identification of project dependencies can derail projects or programs. Dependencies can be any deliverable, process, standard, technology, or product that is produced by one project team (or work group) but impacts another project or program. Projects that impact other projects may be referred to as upstream projects, predecessors, or givers. Projects that are impacted by other projects may be referred to as downstream projects, successors, or receivers. Senior leadership needs to proactively manage and monitor project dependencies within the portfolio. If left unmanaged, the negative impact of such dependencies can severely affect schedule, scope, and cost. Schedule slides will be the most common impact when project teams have a technical dependency with another project and need certain deliverables to fulfill the scope of the project, but higher project costs can be incurred when projects are delayed or reworked due to scope changes. When a downstream project is impacted by an upstream project, the dependent project may still be able to move forward with reduced scope or an expensive scope change required to accommodate a work around as a result of the dependency. I have seen expensive work-arounds implemented as temporary (i.e. “throw away”) solutions that would not have been developed had the upstream deliverables been ready on time. Thorough investigation and planning is needed in order to mitigate against these risks. Good portfolio planning will give decision makers the information they need to launch the right new projects at the right time and sequence the work in the right order to minimize schedule delays, scope change, and budget increases. When it makes sense, a program manager may be needed to oversee the execution of related projects and help manage dependencies between multiple projects. Furthermore, without understanding the relationships between projects, senior management may make a decision regarding one project without understanding the downstream repercussions to dependent projects. Having this information will also help decision makers make better decisions about in-flight projects. Understanding the impacts of one project on another project is very important, but may be missed unless dependencies are proactively tracked and managed. Technical dependencies: “a relationship between two projects that affects the technical outcome of project deliverables”. A technical dependency exists when one project cannot move forward (easily) without a deliverable from another project. This is similar to a finish-to-start relationship common in project schedules, except that it exists between projects. Example: in the IT environment projects may need certain infrastructure to be in place before the project solution can be released. If another project is responsible for setting up the new infrastructure, then there is a hard dependency between the two projects. Having multiple dependencies of this type only compounds the problem and quickly increases the complexity of completing the project on time, within scope, and within budget. Schedule dependencies: (sometimes referred to as a synchronization dependency): “a relationship between two projects where the timing of one project impacts the outcome of another project”. A schedule dependency occurs when project deliverables are needed at the same time in order for both projects to finish. An IT example would be one project decommissioning a system but waiting on another project to complete a data warehouse needed to archive the legacy system’s data. This type of dependency is similar to a finish-to-finish relationship common in project schedules. Resource dependencies: “a shared critical resource between two projects”. A resource dependency only exists when critical resources are shared between projects. This dependency type is often managed at the portfolio level and resource manager level, but project teams should be aware of shared critical resources. If one project is off track and needs additional unplanned effort from critical resources, the other projects may be impacted as well. Information shared from one project to another that would impact the latter’s scope or approach to completing the project. An informational dependency commonly exists when there is a known touch point between two projects and is based on changes to engineering standards, operational procedures, architecture, security, etc. For example, one project is working on changes to certain standards and procedures that affects another project. The upstream project team may not yet know what the final deliverable or solution is, but a downstream project knows that the results may impact its project’s design. There may not be a technical deliverable as described above, but changes to standards and procedures could create future re-work, so both project teams need to stay in close communication. The need to incorporate the capabilities and knowledge gained through another project. In this instance, important information gained from one project team should be passed on to another project team. This may occur more often in engineering environments. In addition to the various dependency types, it is also important to denote the level of impact for each dependency. This is similar to project risk management where the level of impact varies from risk to risk. Impact could be measured in terms of schedule delays, scope impacts, and cost. Mature organizations may use more sophisticated methods of measuring impact, but less mature organizations can utilize a simple high, medium, low scoring to denote levels of impact. In the next post we will cover the tactics of managing project dependencies.